Scorch marks at the front of the furnace indicate that the furnace is back-drafting, which allows carbon monoxide into the house. Trapped lint at clothes dryer vent is a significant fire hazard. 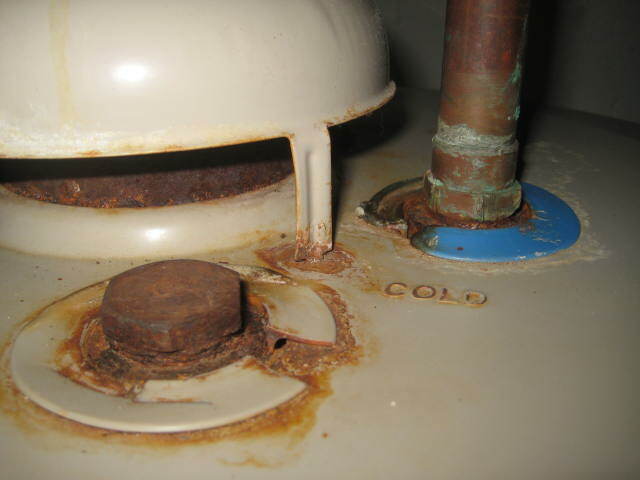 Rust particles under draft hood indicate that boiler is not drafting properly. 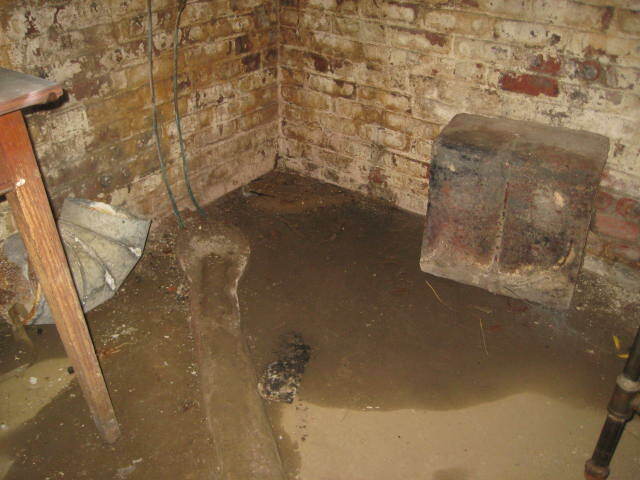 Water leakage around chimney viewed from the attic. 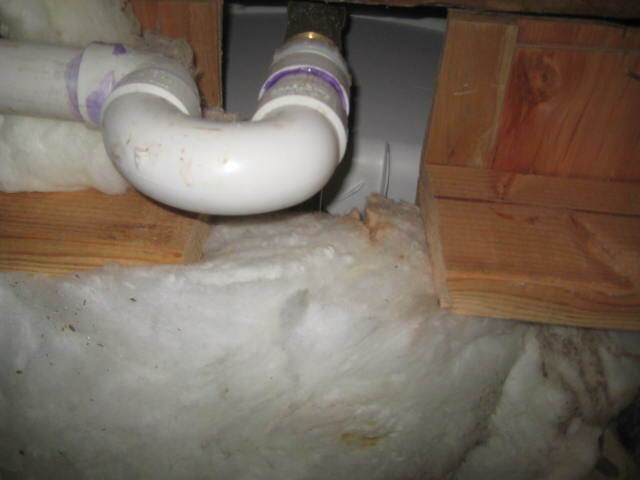 Floor joist cut to accommodate plumbing waste pipe is a structural deficiency. 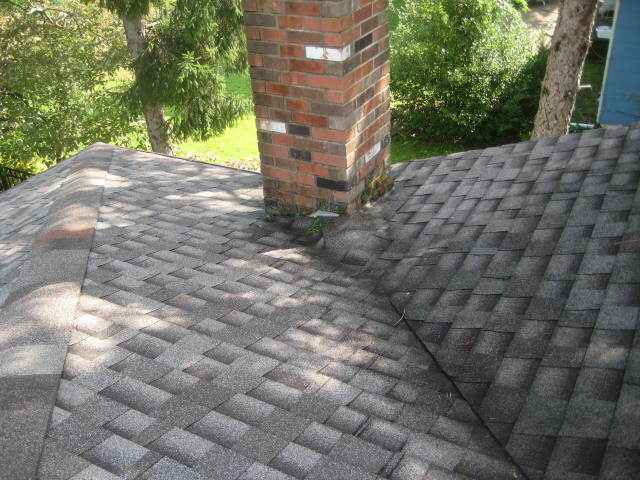 Chimney located at bottom of roof valley will prevent rainwater from flowing off the roof. 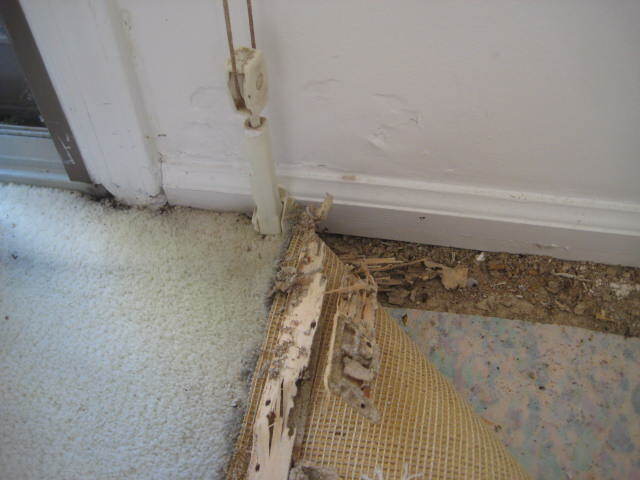 Termite damage to wood tackless under carpet and likely concealed termite damage in wall. 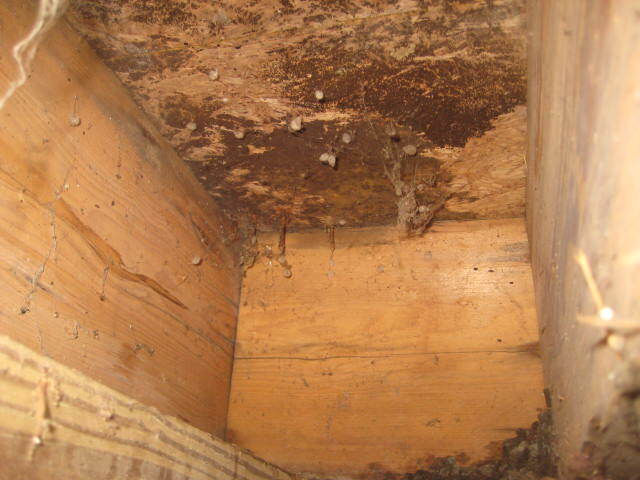 Main girder is deteriorated as a result of water damage in a damp crawl space. 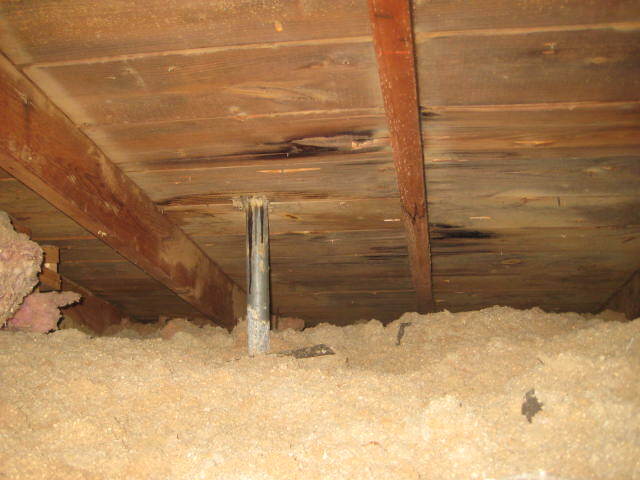 Blackened roof sheathing indicates too much moisture in the house and not enough ventilation in the attic. 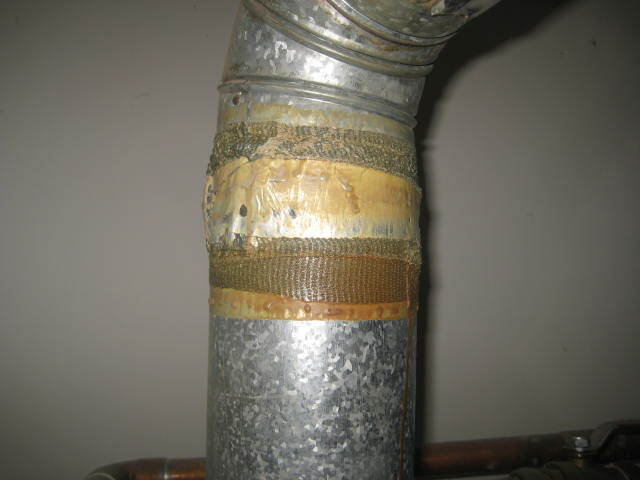 Duct tape on a flue pipe above a furnace is a fire hazard. Mold growing on the subfloor in a damp crawl space. 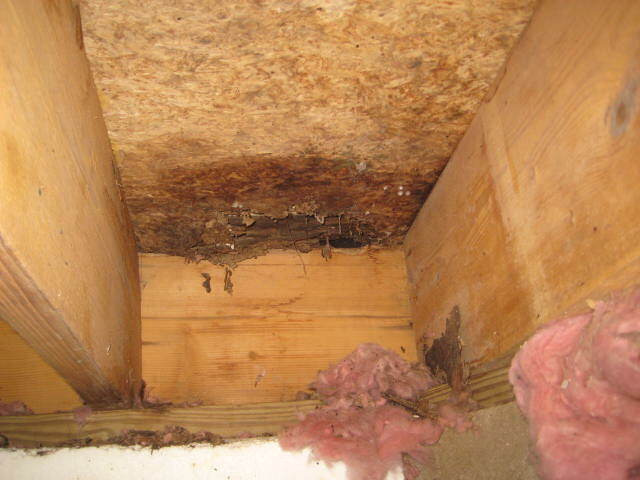 Water damage to the subfloor under a bay window. 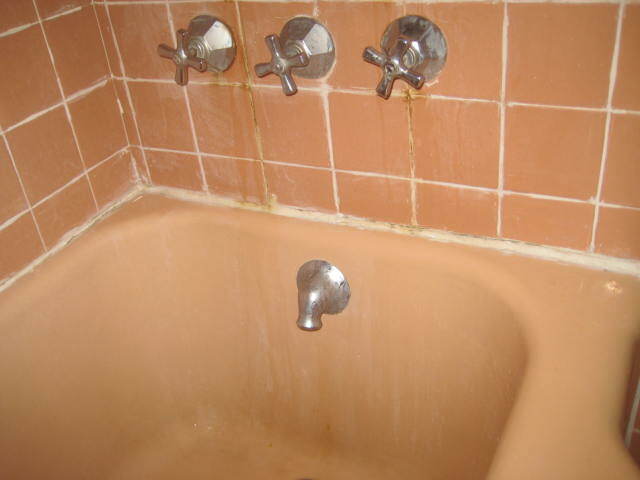 Water in the basement is never a good thing. 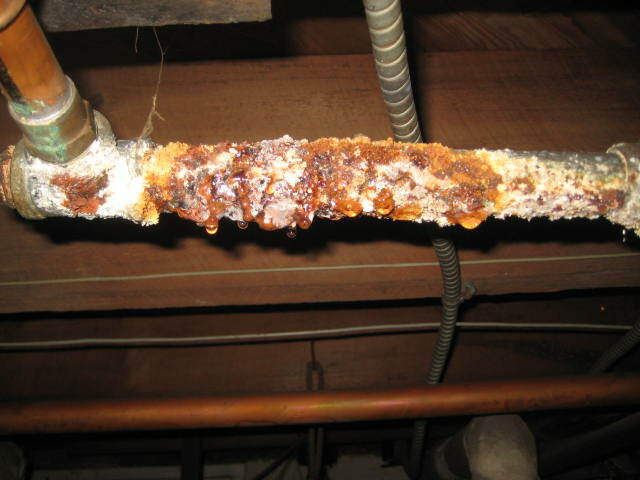 An old leaking galvanized water pipes needs to be replaced. 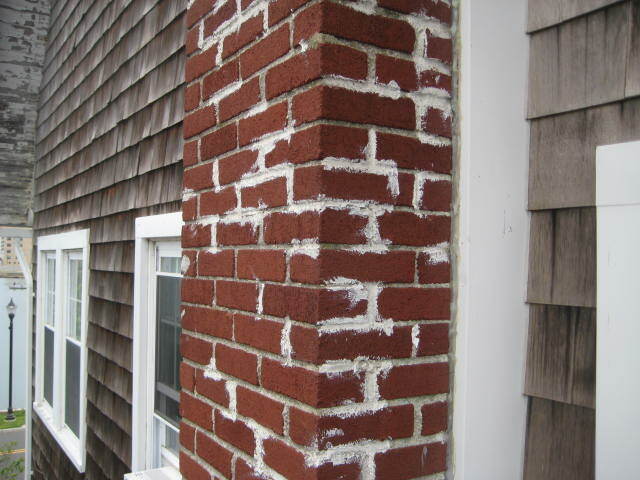 Caulk at mortar joints indicates an inadequate chimney repair. 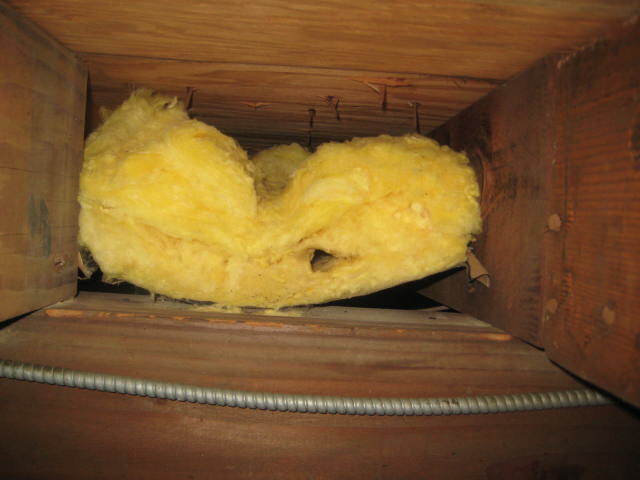 A hole in the insulation indicates that mice are living in the crawl space. 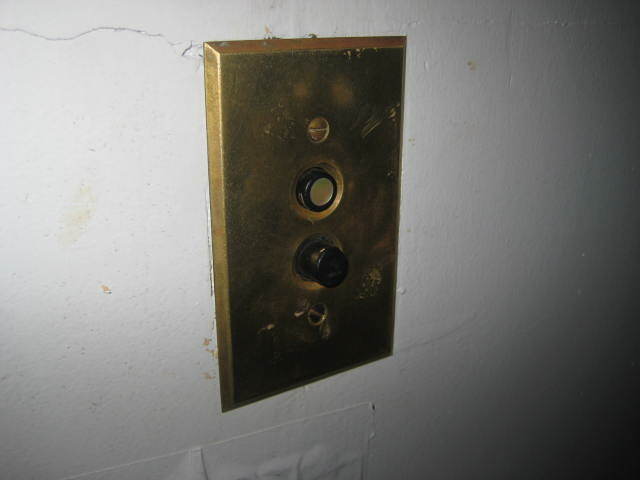 Push button switch indicates the presence of knob-and-tube wiring, which is a fire hazard. 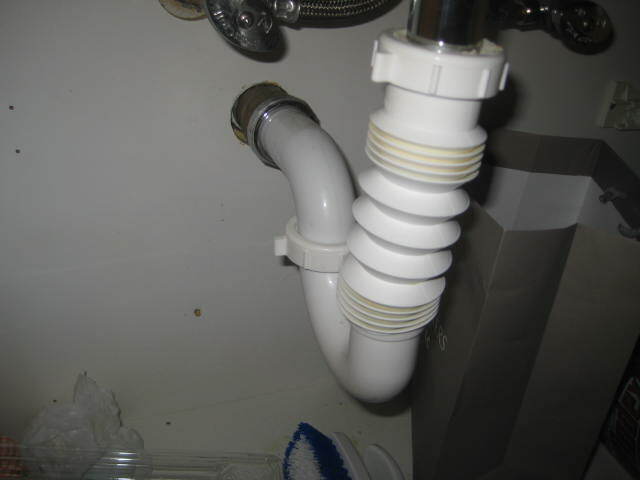 Flexible waste pipes tend to clog and should not be used. 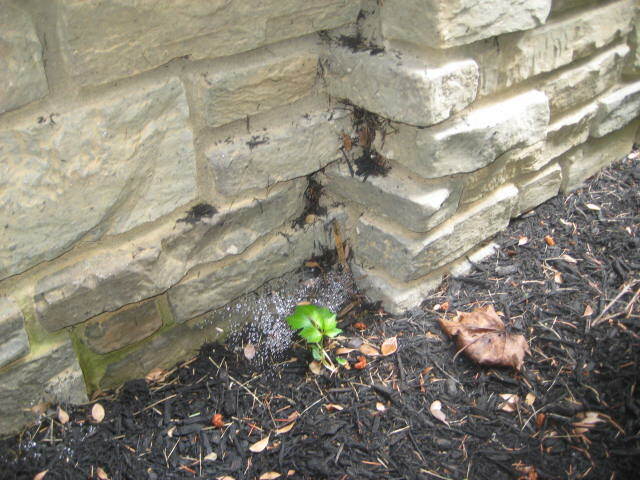 Stone veneer siding in contact with the ground is not acceptable. 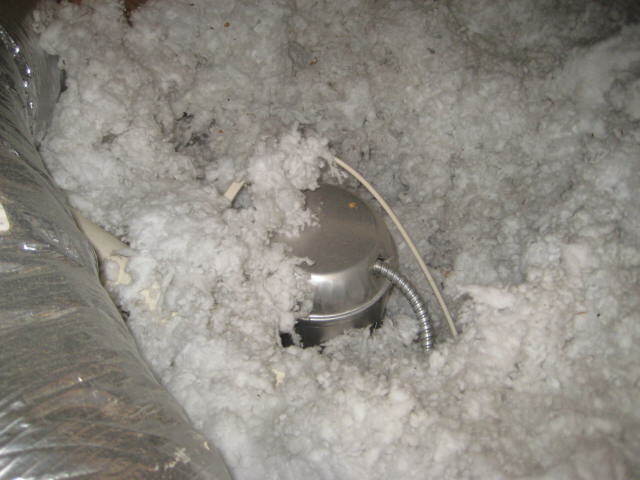 Fiberglass insulation in contact with a recessed light fixture in the attic is a fire hazard. 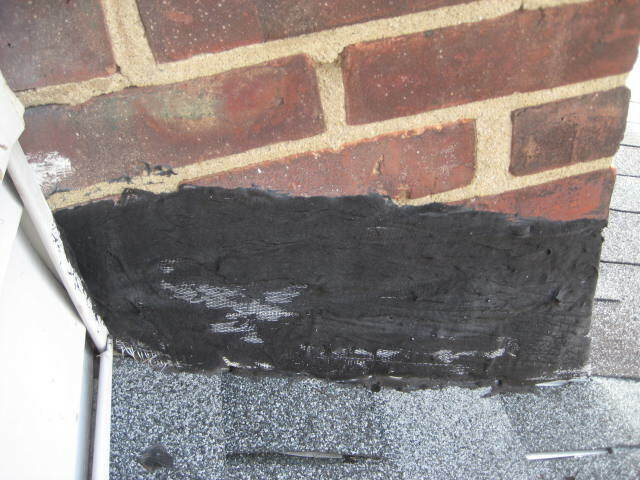 Roof tar on chimney is not an acceptable flashing to keep rainwater from leaking into the house. 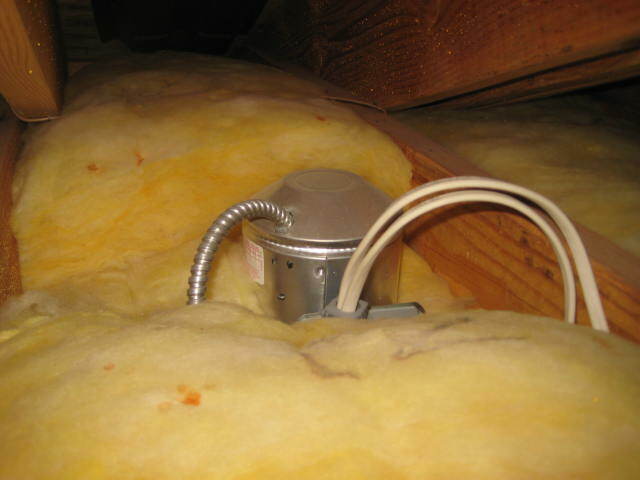 Recessed light fixture in attic is covered with insulation, which is a fire hazard. 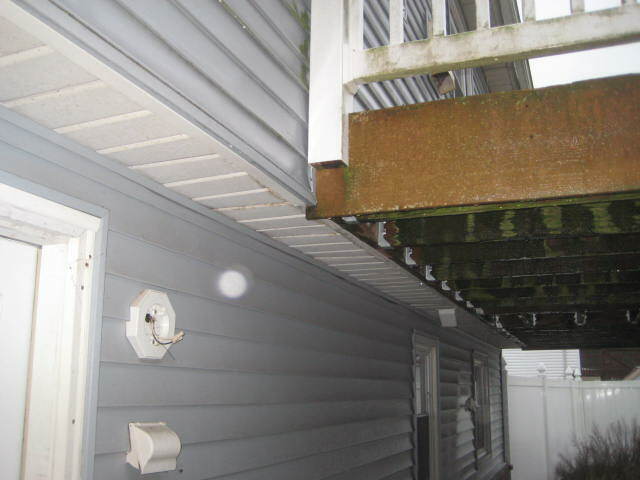 A wooden deck is attached to a cantilevered portion of the house, which is a structural problem. 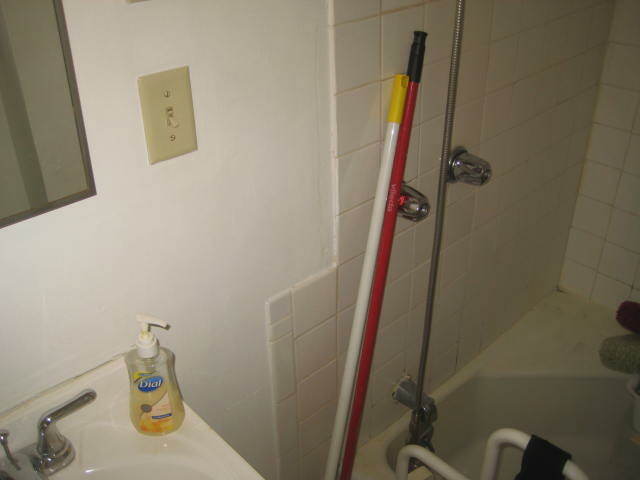 Wall switch located next to the tub is an electrocution hazard. 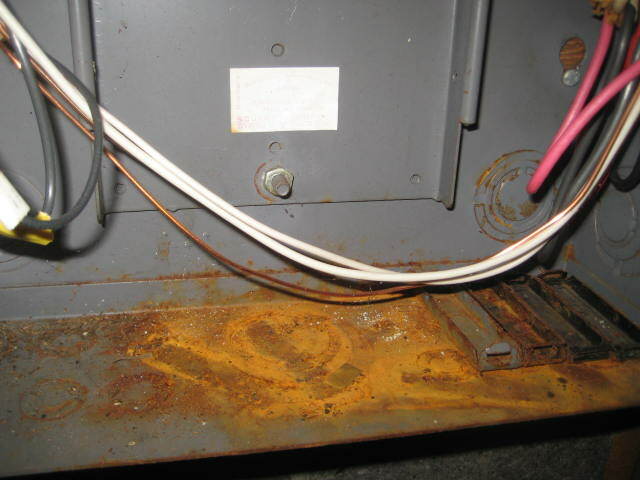 Rust in an electrical panel indicates water infiltration, which is a fire and shock hazard. 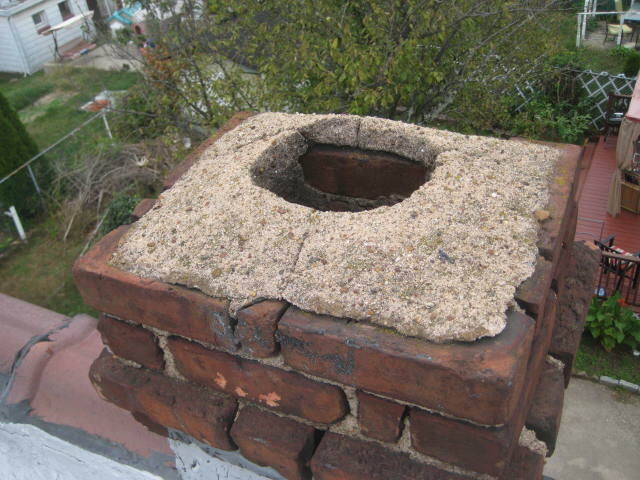 This is an old chimney that is not lined and the masonry crown is cracked. 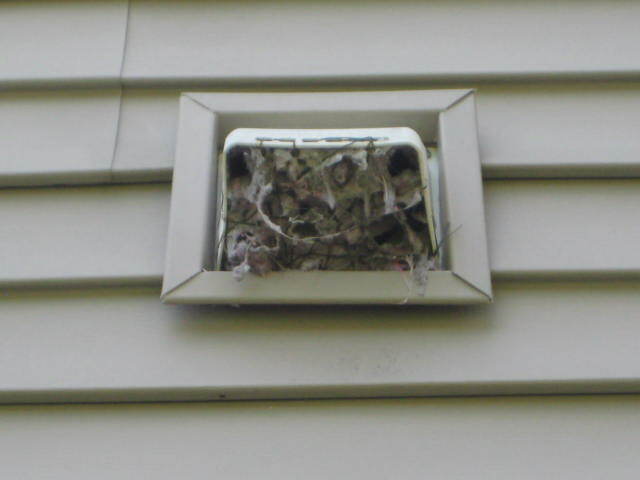 A liner should be installed and the crown needs to be replaced to prevent water damage. 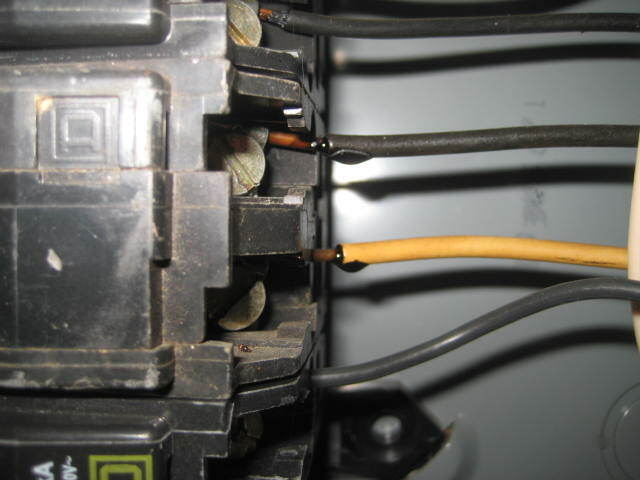 Melted wire insulation indicates an overheating condition, which is a fire hazard. 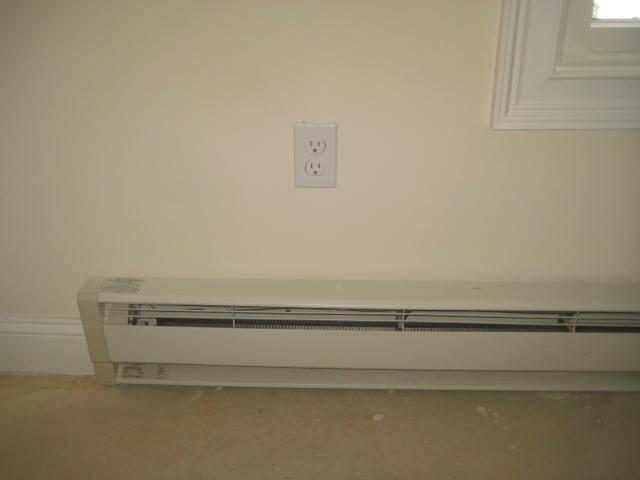 Electrical outlet located above an electric baseboard heater is a fire hazard. 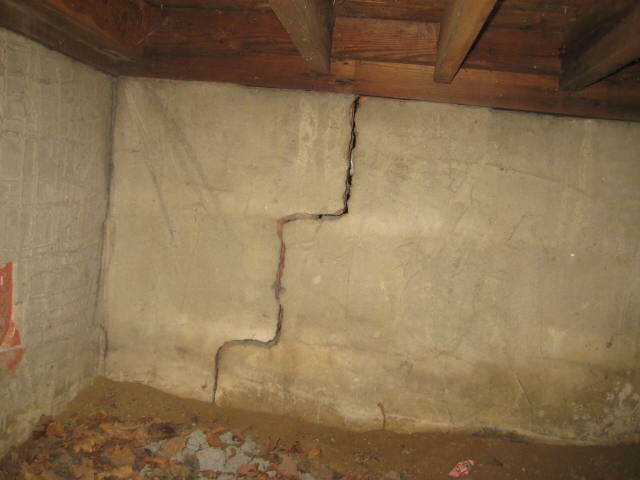 This cracked foundation needs to be repaired or replaced. 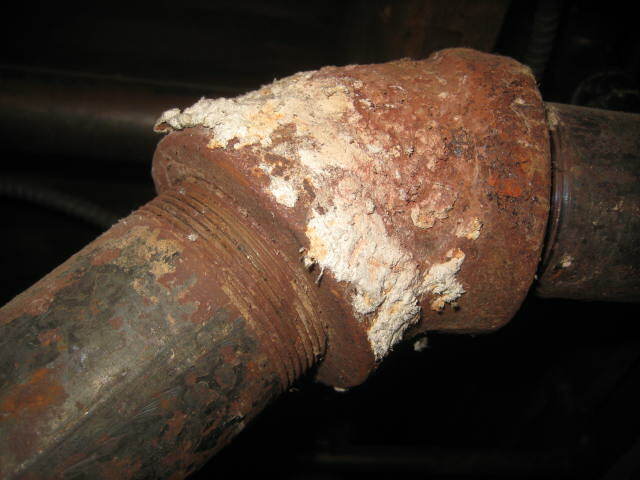 Asbestos residue on an old heating pipe indicates that the asbestos was removed by a non-professional. 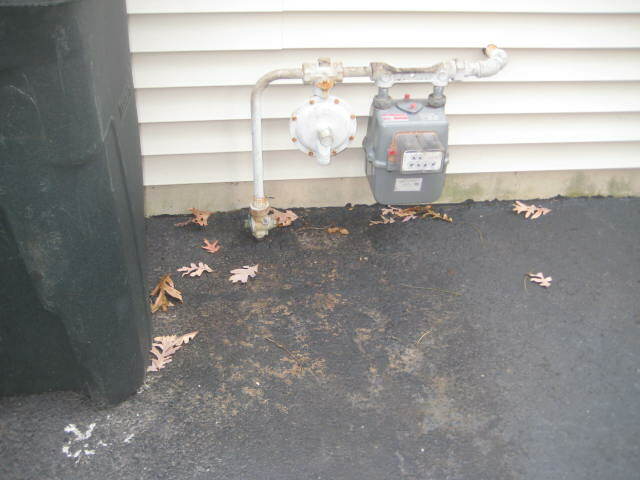 Gas meter located in a driveway needs permanent protection to prevent accident damage by a vehicle. 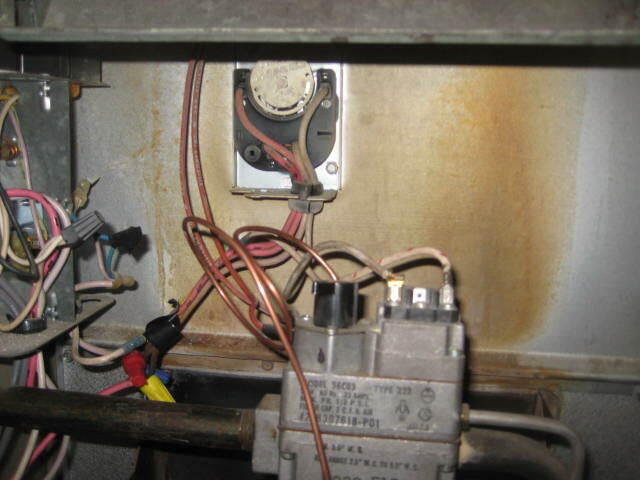 Melted washers above water heater indicate back-drafting, which is a health hazard. 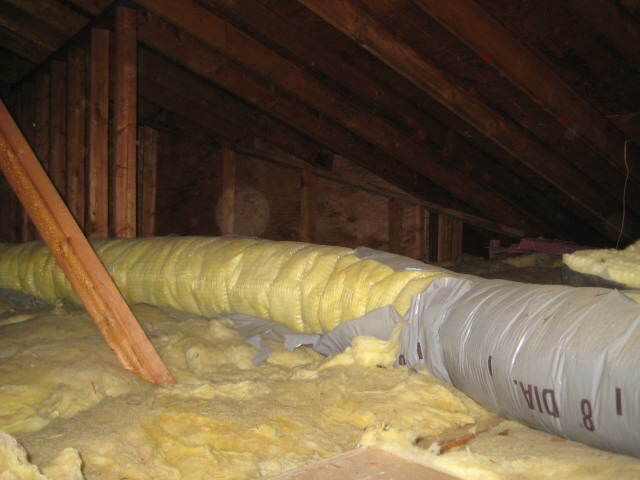 HVAC ductwork in attic has been damaged by ultraviolet light and will have to be replaced. 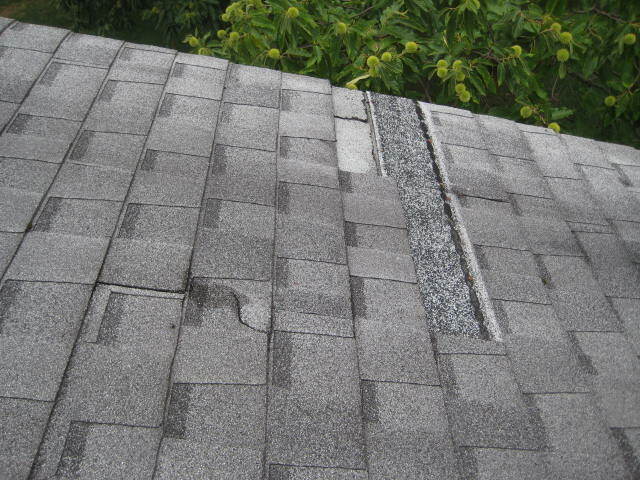 Broken and missing roof shingles means that it is time for a new roof. 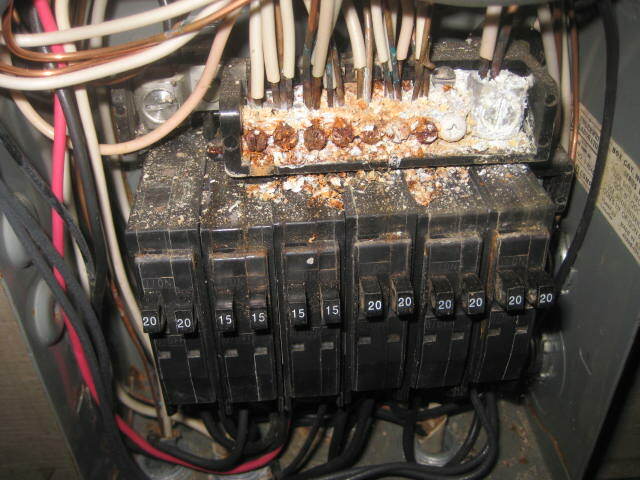 Corrosion at the bus bar in the electrical panel is a fire hazard.